Rebecca Shanlever litigates employment and business disputes and advises clients on a wide variety of employment issues. Clients rely on Ms. Shanlever for advice to avoid disputes and, when litigation does arise, to resolve or try the case effectively. Ms. Shanlever has extensive experience handling discrimination, harassment, and retaliation cases through all stages of litigation, from informal settlements and mediations to motion practice and jury trials. She also has significant experience with non-compete and related matters, including a favorable ruling in one of the first decisions involving Georgia’s new law on restrictive covenants. In addition to her litigation practice, Ms. Shanlever provides legal advice and anti-discrimination and anti-harassment training for all levels of employees. Before joining the firm, Ms. Shanlever was a partner in the Labor & Employment Section at Troutman Sanders LLP. She has been recognized by Law & Politics and Atlanta Magazine as a Rising Star in the area of employment litigation since 2005. Ms. Shanlever is a regular volunteer with Pro Bono Partnership of Atlanta and the Atlanta Volunteer Lawyers Foundation, where she serves on the Board of Directors. 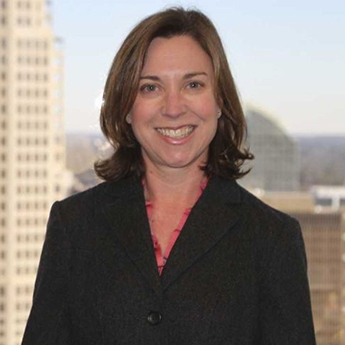 Profiled, “Q&A With Troutman Sanders’ Rebecca Shanlever,” Law360, April 19, 2013. Quoted, “Ruling Increases Protections for Whistleblowers,” Compliance Week, October 11, 2011. “Personnel Records: Keeping Pandora’s Box Closed,” Law360, June 19, 2009. Panelist, Legal Implications for Companies Addressing Domestic Violence in the Workplace, Partnership Against Domestic Violence Conference, October 3, 2013. Strategies for Dealing With FMLA Abuse, Aurora Training Advantage, August 28, 2013. Volunteers & The Law u2013 the Legal Issues of Working with Volunteers, Pro Bono Partnership of Atlanta, most recently October 24, 2012. Background Investigations in the Information Age: Using Social Networking Sites and Other Tools to Conduct Background Checks, EEOC Training Institute, August 16, 2012. Top Mistakes in Employment Litigation (And How to Avoid Them), EEOC Training Institute, August 25, 2011. Jury Communication and Advocacy in Employment Discrimination Cases: Humanizing the Employer and Overcoming Sympathy for Plaintiffs and Bias Against Companies, American Conference Institute, February 26, 2010. Selected as a Rising Star in Employment Litigation by Law & Politics and Atlanta Magazine (2005, 2007, 2009, 2011-2012).